“Tell the story, the story of Jesus. Of His life, death, Ressurection, Ascension.He’s coming back.I felt Jesus Christ was talking to me the very first time I heard that song. I told the Lord that I’ll tell the story to the nations. All nations, everywhere. Country nations, professional nations, all kinds of nations. I got it, yes, I got it. Christ is coming.You’ve got to tell the story”. 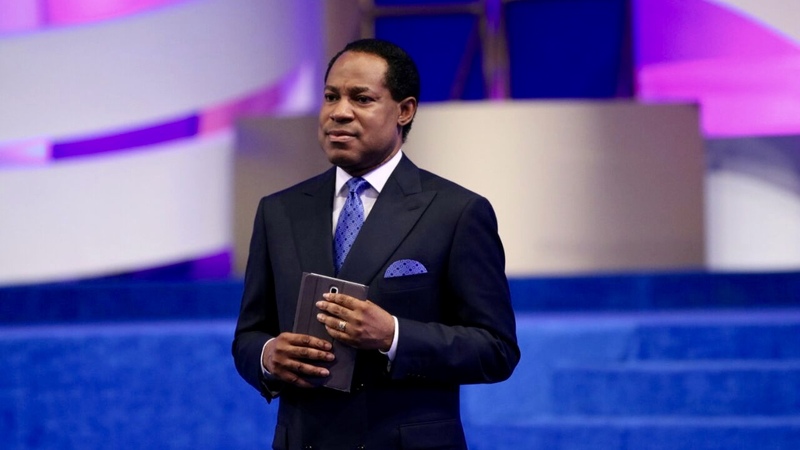 Pastor Chris then asked the delegates if they know who will tell the story? “Does the Master still has those that will tell the story no matter what? John, Matthew, Mark, Luke told the story and are still telling the story. It’s all about Jesus, the King of Isreal. He was Israel’s Saviour. He’s Christ, He’s Saviour. John looked beyond that and started from the beginning. He’s the One who made all things from the beginning”. Almost in tears at this point, Pastor Chris challenged his listeners to read the epistle of John again. “It was John that said that we shouldn’t have any fear because greater is He in you than he that’s in the world. Look, you’re of God, you hail from Him. He was in the world but the world knew Him not. He’s now in you. John doesn’t want you to make the same mistake like the Jews that didn’t know Him when He was with them. He’s now in you. I’m writing that you may know that you have eternal life. This life in His Son, anybody that has His Son has this life. John knew Him. He knew who Jesus was. That was the true light that lights everyone that comes to Him. The fellowship is with the Father”. “After everything, John had the audacity to tell us that as He is, so are we in this world. He told the story of the word. He understood the power of the word. He knew it. He knew it. Worship Him”. All these were the preamble to the message of the night. It’s getting even better and more glorious over here.